OBD2 automotive scanner tools come in a wide range of packages from small wireless scanners to large professional units. 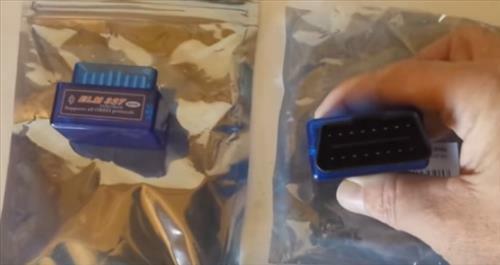 With the huge variety available there is no-doubt that the Best OBD2 scan tool is debatable. What it really comes down to though is how often will the tool be used and in what conditions. For example a large mechanic shop will have different requirements from a scan tool than a backyard part time mechanic. So What is the best OBD2 Scan Tool for the Money? Below is some of our picks for automotive scan tools. There is many available with those below simply some of our favorite options. And since this site is for the DIY backyard mechanics that is the point of view we will take when looking for an OBD2 scan tool. If you have a good option let us know in the comments. The Actron CP9125 PocketScan is a budget OBDII scan tool that reads and clears engine codes on any 1996 and newer cars and trucks. It is not a high-end unit but a good budget tool that gets the job done. All vehicles 1996 and newer will have the basic OBDII protocols built-in which any code scanner will be able to read. 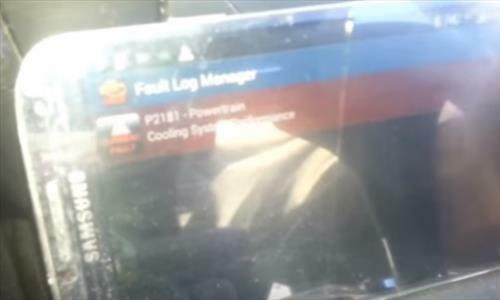 There is vehicle specific codes that manufactures have added such as Vag-Com for Volkswagen but the basic error protocols were agreed on long ago and all 1996-newer cars have built-in. This means any budget scan tool like the Actron CP9125 will be able to read any basic codes on most any vehicle foreign or domestic. I have used the Actron CP9125 for many years (see video below) and it gets the job done for basic problems. Anyone who looks at OBDII scan tools will soon come across the ELM 327 Bluetooth units. First of all it is a very low-cost option and not a top-end unit. Being cheap doesn’t make it good but does make it not only affordable but easy to take a chance on. The ELM 327 does work when Paired to a smartphone and can read and clear codes. 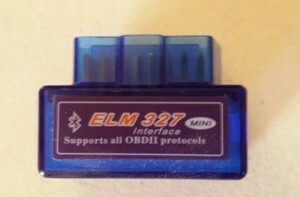 As long as you have a smartphone or laptop with Bluetooth the Elm 327 will transfer a vehicles computer codes to your device and and clear them. This makes it an incredibly handy device in many situations. There is an abundance of software online for laptops or for smartphones both paid and free that can do most anything you can think of once a Bluetooth connection is made to a OBD2 connector. The most popular app for a smartphone is Torque but there are many more. I have used the ELM 327 in many scenario on many vehicles and it has never failed to give me the code the computer was throwing out. Of course the tool is made of plastic so if it was being used in a busy shop being pushed in and out of OBD2 sockets all day it no-doubt would likely stop working at some point. But for a home DIY mechanic that needs a low-cost investment OBD2 tool it is a good option to look at. As stated above everyone will have a different environment they need to use a scan tool in. The opinions here are simple our experience with a good OBD2 scanner for the money. As always be sure to read the reviews on Amazon or elsewhere to get the best scanner to fit your tool kit. Do you have a favorite OBD2 scan tool that is a great unit for the cost? Than let us know in the comments below.